As you probably know, there are a number of great web apps for backing up your files. Many of us here at Techerator are partial to Dropbox. That said, for some people cloud-based storage is overkill. Others have serious reservations about trusting their files to others. Fair enough. So what can they do? Well, they can manually copy their important files to a CD or a DVD, or they upload them to a personal web server. Those solutions are fine, but they also require manual intervention. Anyway, what’s the point of having a computer if you can’t let it do the heavy lifting for you? If you use a Linux distribution with the GNOME desktop, you can use Pybackpack. It’s a simple but effective graphical tool that enables you to save your important files to a CD or DVD, a folder on your local file system, or even a remote web server. Let’s take a look at how to use Pybackpack. If you plan to back up your data to a CD or DVD, you’ll also need Nautilus CD Burner. To be honest, I find using CDs and DVDs to be a waste, but your mileage may vary. You probably have most of the software listed above installed on your computer. Anything you don’t have you can install using your package manager. You can download Pybackpack here. The latest version is 0.5.8. Once you’ve downloaded Pybackpack, extract the contents of the archive to somewhere on your hard drive. Then, crack open a terminal window and navigate to that directory. Launch Pybackpack by pressing ALT+F2. In the Run Application dialog box, type pybackpack and then press Enter. If you want to copy the contents of your /home directory to a CD or DVD, make sure there’s a writable disk in your CD/DVD drive and then click Go. But, as I mentioned earlier, I find backing up to a CD or DVD to be a waste. You can generally only use them once. And you might not want to back up your entire /home directory. 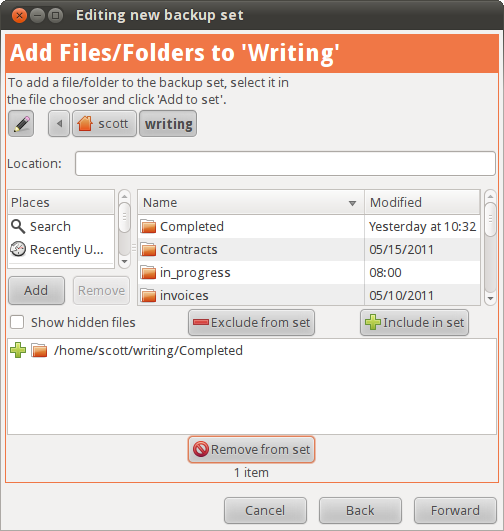 Pybackpack enables you to back up specific folders and files. You do this by creating backup sets. Using backup sets makes a lot more sense. You can make copies of important files, and even group sets of similar files and folders together. 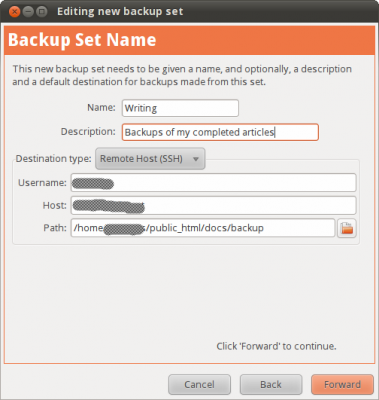 Doing that makes your backups easier to manage. 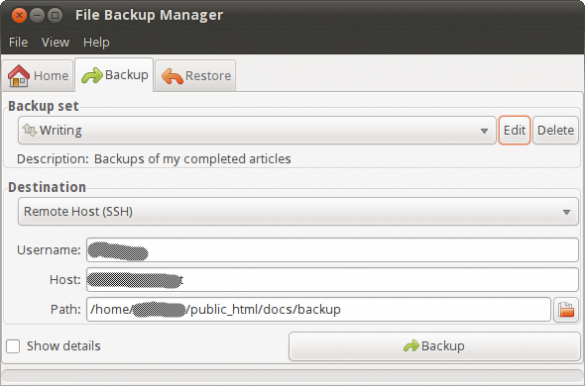 In the Pybackpack window, click the Backup tab. Select New backup set from the list and then click Edit. This starts a wizard that will walk you through the process of creating a backup set. Name of the backup set. Make it descriptive or at least short and to the point. Username – The name you use to log into the server. Host – The address of the server. Path – The directory on the server in which you want to save your files. Click Forward. 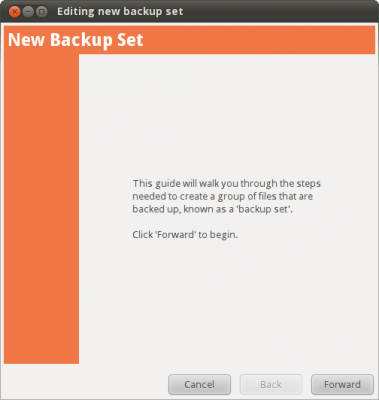 In the next window, select the file and/or folders that you want to include in the backup set by click them in the directory tree and then clicking the Include in set button. Click Forward. You’re taken to a summary window. If you need to make changes, click the Back button. Otherwise click Forward to save the backup set. When you’re ready to backup your files, select the backup set in the Pybackpack window. Then, click the Backup button. Depending on the number and size of the files you’re backing up, and where you’re backing them up to, the process could take a few seconds to a few minutes. You might want to do that once in a while. 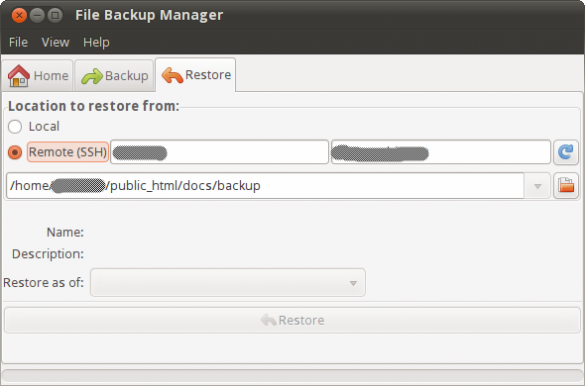 Click the Restore tab in the Pybackpack window. Then click either Local (somewhere on your computer or on a CD/DVD) or Remote (SSH). 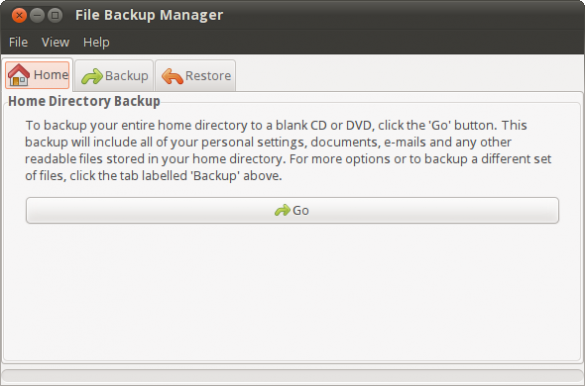 In either case, enter the path to the directory containing the backup that you want to restore. 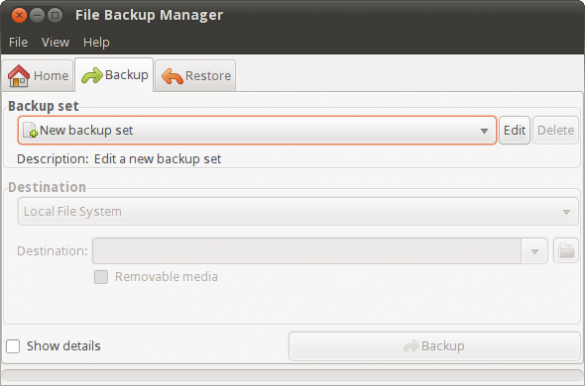 If you have multiple backups, you can select the one that you want to restore from the Restore as of list. Then, click the Restore button. Pybackpack is a very flexible and very easy-to-use tool. It’s easy to use and offers several options. 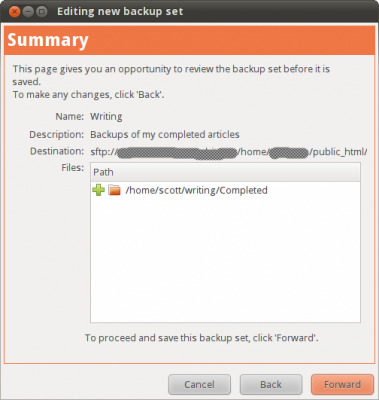 While it’s not designed to back up your entire system, Pybackpack does a solid job of backing up your important files and folders. When it comes to certain desktop applications, Linux is often the poor cousin of operating systems. Take, for example, Evernote. Evernote is an application that lets you take detailed notes, and more. It’s designed to help you, as its tagline says, remember everything. There are versions of the software for Windows and Mac OS but, as usual, Linux is out in the cold. Sure, you can use Evernote’s Web interface but sometimes you may not want to. Or you might have to work without a connection to the Internet. So what’s a neglected Linux user to do? Give Nevernote a shot, that’s what. Obviously, you’ll need an Evernote account. You can get a free one, or pay $5 a month for an account with a few more features. Then, download and install Nevernote. From there, launch the application. 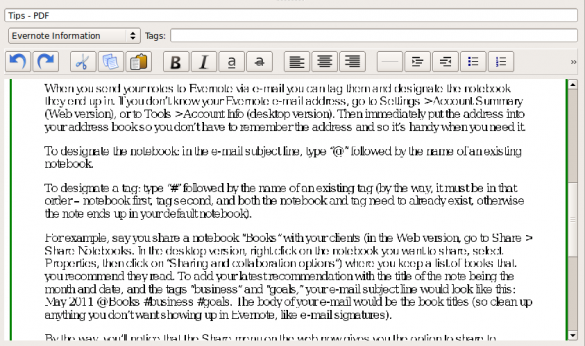 If, like me, you’re using Ubuntu then you’ll find the shortcut by selecting Applications > Internet > Nevernote. Let’s assume that this is the first time you’ve run Nevernote, but that you have some notes in the Web-based version of Evernote. You’ll probably want to synchronize your notes. 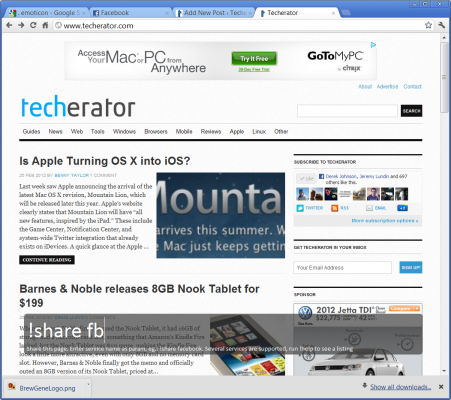 To do that, click the Synchronize button on the toolbar. You’ll be asked for your Evernote user name and password. Once you enter them, Nevernote pulls down your notes. Depending on how many notes you have, that could take a few seconds or longer. From there, using Nevernote is just like using Evernote on the Web. Click the New icon on toolbar to create a new note. You can give it a title, add the note to an existing notebook, and tag it. You can even add formatting and change the font. Nevernote also supports stacks. 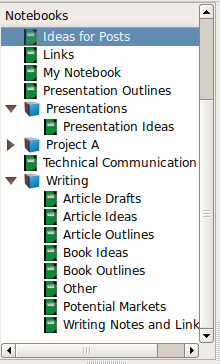 In Evernote, stacks are like folders and subfolders. Or, in this case, categories and subcategories for notes. You can, for example, have a stack called Personal. Underneath it, you can have stacks called Receipts and Home Inventory. Doing that can help you better organize your information. It can be more efficient than using tags. Nevernote is a solid application. But it does have its flaws. It’s written in Java, so it might run slowly on some computers. You can’t add attachments to notes, like you can with the Windows and Mac OS Evernote clients or on the Web. You can, however, view certain attachments that have been synchronized from Evernote. The problem is that the quality isn’t all that great. 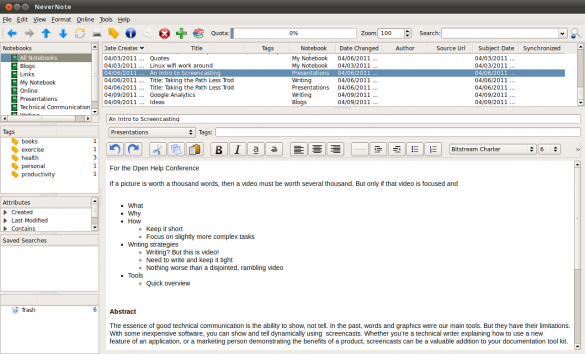 If you use both Linux and Evernote, though, Nevernote is a must-have piece of software. It’s not perfect, but it’s better than just not bad. It offers you most of the power of Evernote, and it lets you take Evernote offline. That in itself is worth the download. No matter how careful or fastidious you are, over time a lot of cruft builds up on your computer. Things like cached files, cookies, temporary files, packages, log files, and a whole lot more. All of this builds up and takes up a tens or hundreds of megabytes of disk space. You can remove all of that cruft yourself, but that can take time. And you might not get everything. Or, you can clean up your computer in one sweep with a powerful and flexible, but easy to use, tool called Bleach Bit. 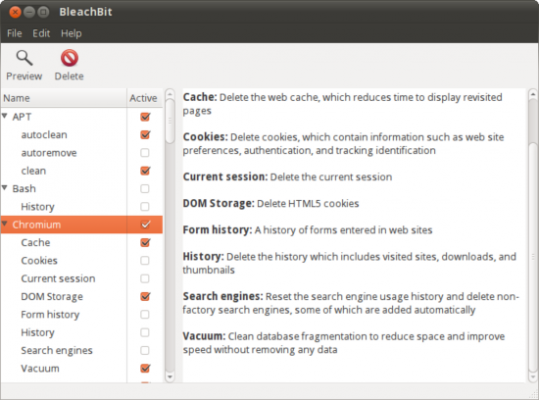 Available for Linux and Windows, Bleach Bit scours your computer — your home directory and your system folders — to find and remove any bits that get left behind. It can not only clean unneeded system files but also the files that come from about 90 applications including Web browsers, chat clients, PDF readers, databases, and more. The first step is, obviously, to install Bleach Bit. If you’re using Linux, check your distro’s package manager. 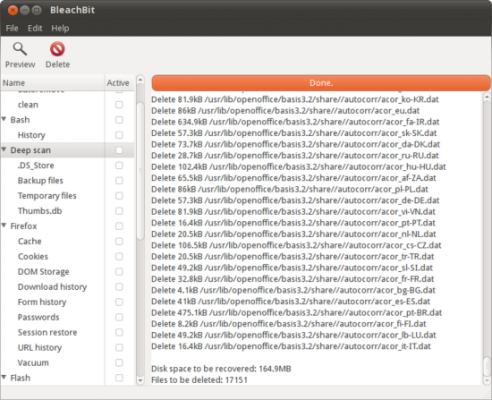 I installed Bleach Bit in Ubuntu 10.10 using Synaptic. If Bleach Bit isn’t there, go to the download page and find the package for your distro. If you’re using Windows, you can download installers too. 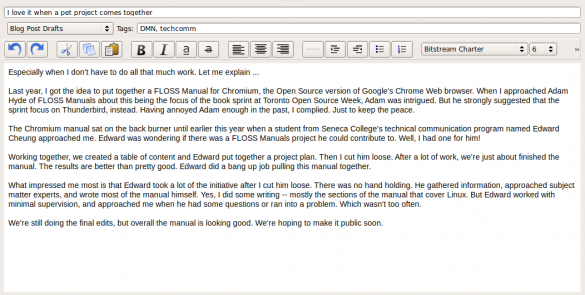 But since I don’t do Windows, this post will look at using Bleach Bit under Linux. As I mentioned, I installed Bleach Bit in Ubuntu 10.10. To run it, go to System > Administration. You’ll see two items in the menu: Bleach Bit and Bleach Bit as Administrator. 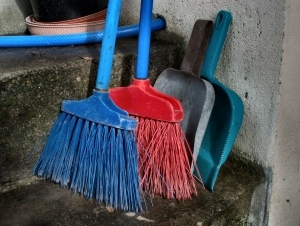 One cleans your home directory, and the other cleans out system directories. Let’s take a look at both. Of the two options, selecting Bleach Bit from the Administration menu is the safer of the two. You’ll only be able to get rid of cruft in your /home directory. And you’ll be amazed at what collects there! The left side of the Bleach Bit window contains a list of cleaners (the types of applications and files that Bleach Bit works with). Click a check box beside a cleaner to activate it. When you do that, a little more information about what the cleaner does appears in the right side of the application’s window. After you’ve chosen the cleaners that you want to use, click the Preview button on the toolbar. This will create a list of files that Bleach Bit will delete. It will also tell you how much disk space will be freed up. When you’re ready, click the Delete button on the toolbar. Depending on the number of cleaners you’ve selected, and the number of files there are, it can take Bleach Bit anywhere from a few seconds to several minutes to do its work. Running Bleach Bit as Administrator is a slightly different ball game. In Linux, you need to run it as root. And when you do, the application scans everything outside of your /home folder. Like what? Like the /usr directory and its subdirectories, the /tmp folder, and more. Other than that, running Bleach Bit as Administrator works in the same way as running it in your /home directory. A few click, a preview, and you’re ready to clean up! One cleaner that you should approach with caution, though, is Free disk space. This cleaner will overwrite any free disk space to hide hidden files. That’s not a bad thing in of itself, but the process is slow. It can take upwards of an hour to do the job. During that time, your system will bog down noticeably. Bleach Bit is a powerful and useful tool. It gives you a fast and easy way to get rid of everything you don’t need on your computer, while at the same time freeing up disk space and improving performance. Remember the old days of sharing or transferring files when you had to put them on a floppy disk or a USB flash drive to move them between computers, or to pass those files to a friend or colleague? The method worked, but only if you were moving files a few feet away. Even so, doing it got really old really quickly. Email has made sharing and moving files a bit easier. Slightly. Some people block messages with attachments, others use email systems that limit the size of attachments. Those attachments get stripped from a message or the message gets bounced, something you don’t want to happen. That’s where web-based file sharing apps are a boon. Ones like Dropbox and Box.net are great, but they can be a bit more cumbersome. Ge.tt bills itself as an instant, real-time file publishing and sharing service. 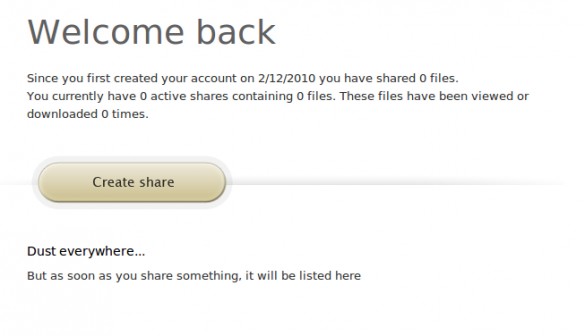 If you need to share one file or a bunch of them, Ge.tt makes doing the sharing files simple and easy. Head on over to the Ge.tt website and start uploading. While you can upload files right from Ge.tt’s main page, it might be worthwhile signing up for an account. The account is free, and lets you remove files at will. On top of that, with an account you can track who has accessed your files. In case you’re wondering, the service automatically deletes files that haven’t been touched for three months. Regardless of what route you take, get started by clicking the Create share button. From there, search your hard drive for the file that you want to upload. That can be any kind of file — a document, a video, or a photo. A couple of things happen. Ge.tt uploads your file (and uploads it pretty quickly, too) and creates a shortened URL for it. That comes in handy with the next step of the process. Your file is on Ge.tt’s server. Now what? Time to spread the word. Remember that shortened URL? You can post it to Facebook, Twitter, or send it by email. All you have to do is click an icon on the page that lists your shared files. With Facebook and Twitter, clicking the icon takes you to the login page for whichever service you choose. After you login, you can post the URL to your friends and followers. Click the email icon to open an email form. 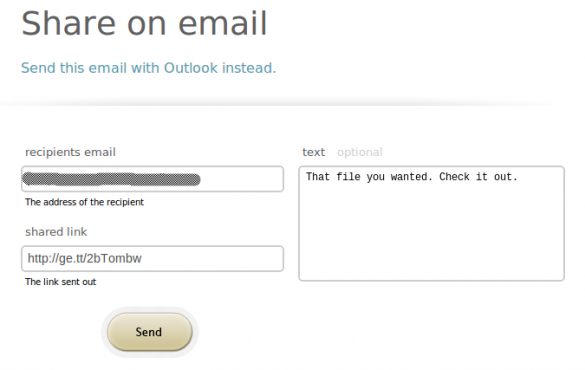 From there, type the recipient’s email address, enter an optional message, and click Send. Unfortunately, you can only share your files with one person at a time. If you want to share the file by email with more than one person, just copy the URL and paste it into a message in your favorite email program or service. If you’re looking for long-term storage for your files, or to synchronize them between your computers and devices, Ge.tt probably isn’t what you’re looking for. But if you need a quick and easy way to share, say, a video that you took with your Flip cam, then Ge.tt is definitely worth a closer look. 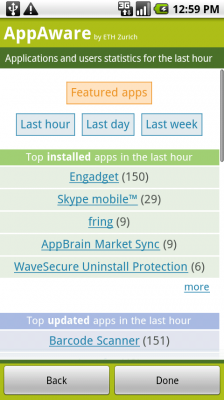 Installing Android applications can sometimes be a risky operation. A list of permissions requested by the application pops up before installation, but how many people actually read those? Even if you do read them, they can often leave you puzzled as to why that application needs that permission. I recently installed a newly-released game on my phone, and, like usual, took a look at the permissions it requested: full internet access (fair enough), read phone state and identity (wait, what? Why would it need that? ), and access my location (alarm bells are definitely going off now). Since the game appeared to have fairly decent production values and was free, I was wary that its creators might be using an alternative revenue model, such selling user information to third parties. Call me paranoid, but I’d rather err on the side of caution. 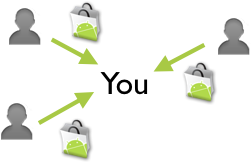 I started looking around for a way to easily log Android network traffic to see if I could discover what data the application was actually transmitting, but stumbled upon something so much better: DroidWall. VERY IMPORTANT NOTE: DroidWall requires root access to work at all. If you don’t have root, DroidWall will not function. DroidWall lets you leverage the power of Linux’s iptables using a simple front-end interface. In a nutshell, it lets you block specific applications from accessing the Internet. Even better, DroidWall is incredibly easy to configure. On the application’s main screen you’re presented with two modes of operation: white list or black list (toggle between the two by clicking on the header where the mode is displayed). When in white list mode, you select which applications you want to grant access to the internet (useful if there are only a few applications you want to give internet access). Black list mode is just the opposite. You select applications that you wish to block (useful when you only want to block access from a few applications). DroidWall also lets you decide on a per-application basis if you want to block 3G, Wi-Fi, or both, which can be useful if want to ensure that data-hog applications aren’t syncing while on 3G. Once you’ve made your decisions, simply hit the Menu key, enable the firewall (if it isn’t already enabled), and hit ‘Apply rules.’ DroidWall will request Superuser permissions and the rules you defined will take effect immediately. Be careful when selecting which applications you want to block, as blocking the wrong one could cause your phone to act rather strangely. For example, blocking the Linux kernel would probably be a bad idea. If you want to be sure DroidWall is working, it also comes with a logging feature that can be enabled in the options menu. The log can be viewed via the ‘Show log’ option, also found in the options menu. For all I know, the data the application was collecting may have been harmless. Usage metrics are often collected by game developers and studied to try and make the game better. However, since the game was new to the Market and I wasn’t familiar with the publisher, I decided it was best to not take a chance. 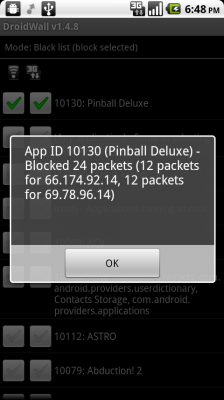 DroidWall made it easy to use a built in Linux feature to simply block that application from accessing the Internet. DroidWall can be downloaded for free from the Android market via the QR code below. If you really like it, consider donating at the project’s Google Code page.